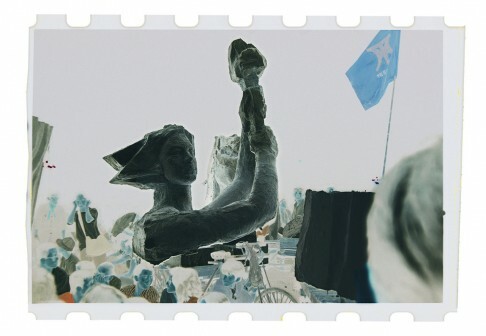 A negative image of the goddess of democracy in Tiananmen Square in 1989, shot by Xu Yong. CLICK ON IMAGE TO LAUNCH PHOTO GALLERY. 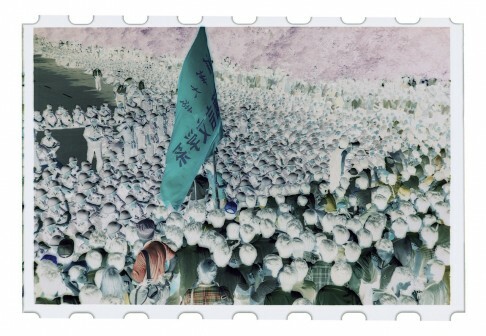 As you flip through the latest photography book by Chinese artist Xu Yong, it seems strange to be staring at colour negatives of scenes from demonstrations in Tiananmen Square during the spring of 1989. Nothing makes immediate sense. 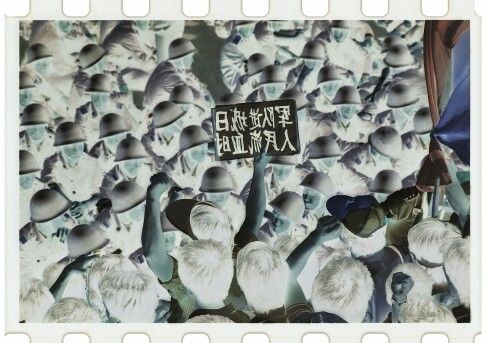 But the jacket cover instructs readers to use their smartphones and change the settings to “invert colour” or “colour effect – negative” – and suddenly images come to life of protesters holding up banners and shouting slogans beneath the portrait of Mao Zedong on the Gate of Heavenly Peace. 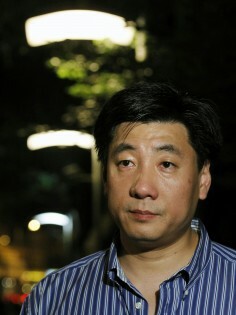 Indeed, when the publisher of New Century Press in Hong Kong, Bao Pu, originally wanted to release the book to mark the 25th anniversary of the Tiananmen crackdown last June, Xu insisted the subject of the book wasn’t important, and he wanted to avoid launching it on an anniversary, lest people “attack the book’s meaning”. “I have no interest in discussing what the images mean,” Xu Yong says. The two met through mutual friends last spring after Xu finally decided to publish the negatives for the first time. Xu had just quit his job in a state-owned advertising company in the spring of 1989 when students took to the streets in Beijing, demanding an end to corruption, less censorship and more freedom. 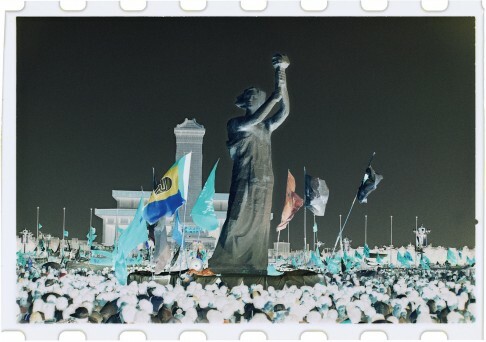 The unprecedented movement inspired the avid photographer to take about 500 rolls of film, but in the end, he chose only 64 images for the book. 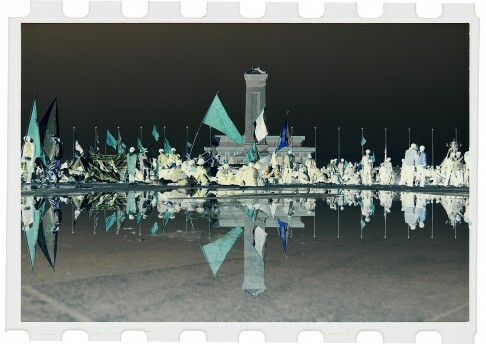 The images show thousands of people congregated around the square, holding up posters; people with bullhorns shouting slogans; tents set up; and then the last negative in the book is an ominous, blurry photo of a tank. When the books were printed and distributed to bookstores, Xu wasn’t happy with the cover, and the publisher had to scramble to recover all the copies and reprint. It was finally released in February. Bao says the cover only looks slightly different from before. 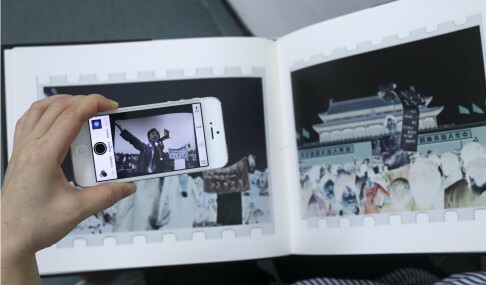 “When you use the smartphone, you feel like the artist is speaking to you with this interaction,” publisher Bao says. “We’ve had requests from European dealers about the book,” Bao Pu says. Having the reader use a smartphone creates interaction with the book. “When you use the smartphone, you feel like the artist is speaking to you with this interaction,” Bao says. “You choose where you want to go and see all the details because the scans are in high resolution. 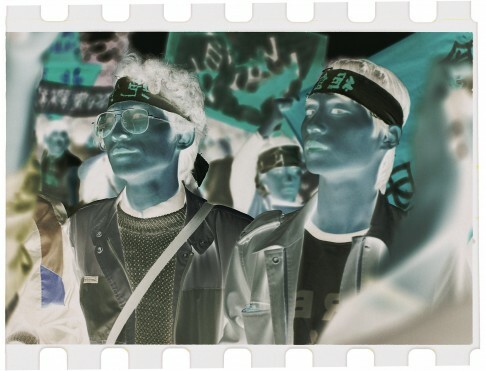 Xu made the negative scans himself and treated the colours. Xu is no stranger to controversy, although not with political themes. In the late 1980s, he took haunting black-and-white photographs of Beijing’s hutongs, or alleyways, capturing them before they were knocked down for redevelopment. Most recently he followed a prostitute for 24 hours, taking pictures of her face at various times of the day. 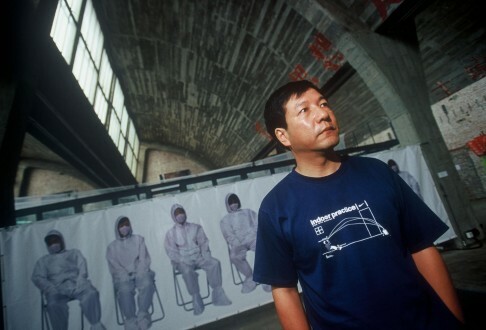 He was also one of the main activists who pushed for an abandoned munitions factory in Beijing to be turned into an art complex, which is now known as 798 Art Zone. 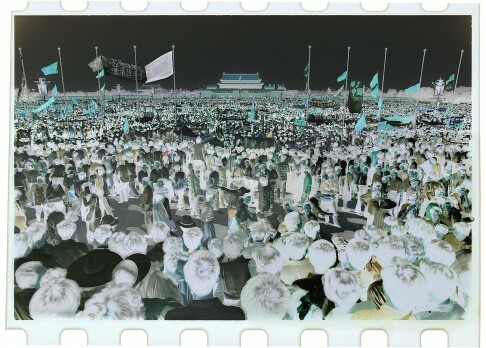 Xu Yong shot about 500 rolls of film at Tiananmen in 1989. Xu says digital photos are easily manipulated, so they lose credibility compared with negatives that can be admissible as evidence in court. “We interpret these images as a record of what happened. Xu considers that they are a form of expression,” says Bao, who adds the book’s subject matter is too important not to publish. “It’s not a normal book,” publisher Bao says. 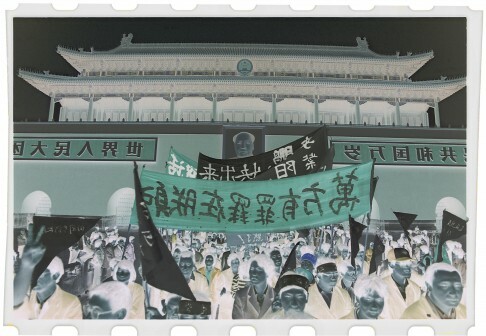 Cheng Yee-man – co-founder of C&G ArtPartment, which promotes local artists and exhibits political art – says Negatives is an interesting project, and understands Xu may be concerned about drawing attention from the authorities. Even so, Cheng thinks the pictures should be published in positive. Because the book is printed in Hong Kong, Bao hasn’t been able to send copies to Xu by courier. He tried once, and the shipment was nearly confiscated. “The courier company is forced to act as a Chinese censor,” Bao says, clearly frustrated. “We told them to send it back, but they said we would have to pay more. We had already paid a lot to send it and they didn’t even deliver it to the artist, and then we had to pay more to get it back. It’s one of those headaches.